Last week, Rep. Earl Blumenauer (D-OR) unveiled a plan for a Democratically-led House to push through federal marijuana legalization by the end of 2019. In an eight-page memo to the House Democratic leadership laid out his roadmap to ending Reefer Madness. 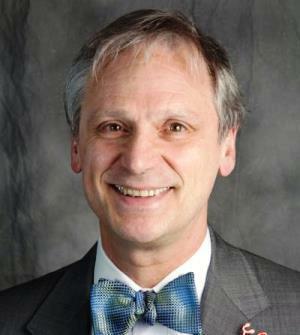 Blumenauer isn't just any old congressman. The longtime stalwart marijuana reformer is the founder of the Congressional Cannabis Caucus and a leading voice in the fight to bring marijuana out of the shadows. And he's ready to do it once Congress gets back to work in January. "Congress is out of step with the American people and the states on cannabis," Blumenauer wrote in the memo, citing polling  showing 69% of registered voters support legalizing marijuana. "We have an opportunity to correct course if Democrats win big in November. There's no question: cannabis prohibition will end." Most projections have the Democrats taking back control of the House in November. The Senate is a different story, with the odds against the party being able to overcome Republican control this year. Winning the House is critical. During the current Congress, progress has been stymied by House Republican leaders, who have blocked floor votes on dozens of cannabis-related amendments . Not one marijuana reform bill has gotten a House floor vote in the past two years. If the House goes Democratic and the party can push a legalization bill through that chamber, Blumenauer argues, then pressure will mount on even a GOP-controlled Senate, where there is already growing bipartisan support for reform. But Senate Republicans aren't the only potential obstacle. The current House Democratic leadership hasn't exactly been chomping at the bit to make freeing the weed a priority next year. But while there is majority support for ending marijuana prohibition among House Democrats, the party's leadership has so far appeared lukewarm to the idea of prioritizing the issue in 2019. When Minority Whip Steny Hoyer (D-MD) was asked about pushing cannabis reform next year , he replied that top Democrats "haven't talked about that," and Minority Leader Nancy Pelosi (D-CA), the frontrunner for House Speaker if the Democrats win, seems willing to defer to President Trump on the matter. "I don't know where the president is on any of this," she said . "So any decision about how we go forward would have to reflect where we can get the result." But despite his notoriously pot prohibitionist attorney general, President Trump may not get in the way of marijuana legalization. As a candidate in 2016, he pledged to respect state marijuana laws, and earlier this year, as part of a deal with pot state Sen. Cory Gardner (R-CO), he told Gardner he would back "a federalism-based legislative solution to fix this states' rights issue once and for all  Democrats need to be prepared to act when Congress reconvenes next year or risk giving Trump a freebie, Blumenauer warned. "Democrats should lead the way," he wrote. "If we fail to act swiftly, I fear as the 2020 election campaign approaches, Donald Trump will claim credit for our work in an effort to shore up support -- especially from young voters. Democrats must seize the moment." Beginning in January, the Democrats need to get moving, Blumenauer counseled. "For too long, under Republican leadership, these issues have not been allowed to be fully debated. We must change that approach. Almost every standing House committee has jurisdiction over some aspects of marijuana policy. Within the first six months, these committees should hold hearings, bring in experts, and discuss possible policy fixes," he wrote. A House Administration Committee hearing on access to financial services for candidates who support marijuana legalization. From April to June, Blumenauer wants relevant committees to "start marking up bills in their jurisdiction to responsibly narrow the marijuana policy gap -- the gap between federal and state marijuana laws -- before the end of the year." Those issues would include addressing the racial injustices of the unequal application of federal marijuana laws, protection of state marijuana laws, removal of barriers to marijuana research, civil asset forfeiture protections, job protections, access to financial services, and equal taxation for marijuana businesses, among others. Blumenauer wants to see bills addressing these issues passed by August, and then movement to get a legalization bill through the Congress by year's end. "With the marijuana policy gap diminished, after months of hearings and markups, the House should pass a full descheduling bill and work with Senate allies to guide the bill through Senate passage," he wrote. "Our chances in the Senate depend both on the November elections and increased public pressure following House passage. While the Senate has been slower on marijuana policy reform than the House and the American people, it now has almost 20 introduced bills in an effort to catch up with the House. We must build on this momentum." If all goes well, Blumenauer predicts, "By the end of 2019, marijuana will be legal at the federal level, and states allowed to responsibly regulate its use. The federal government will not interfere in state efforts to responsibly regulate marijuana use within their borders." All of this, though, starts with winning the House in November. As Blumenauer notes, with even Donald Trump having signaled support for a state-regulated approach to marijuana, "the only obstacle standing in our way is the Republican leadership in Congress."